Dr. Curtis Woodcock accepting the 2016 Pecora Individual award. Sep 21, 2016 • [by Jon Campbell, USGS] A longtime innovator in space-based Earth observation at Boston University and a team that has paved the way for the next generation of satellite precipitation observations have both been honored with the 2016 William T. Pecora Award for achievement in Earth remote sensing. Sponsored by the Department of the Interior’s U.S. Geological Survey (USGS) and NASA, the annual award is being presented today at a special commemorative event, A Vision to Observe Earth … 50th Anniversary, in Washington, D.C. The award has been presented annually since 1974 to recognize outstanding contributions of individuals and groups toward the understanding of the Earth through remote sensing. The award honors the memory of Dr. William T. Pecora, former Director of USGS and Under Secretary of the Interior. Dr. Pecora was a motivating force behind Secretary Udall’s 1966 announcement for the establishment of civil remote sensing of the Earth from space. Dr. Curtis E. Woodcock, a professor at Boston University, has dedicated his career to remote sensing education, research, and service. After joining Boston University in 1984, he co-founded the Center for Remote Sensing and served as chair of the Department of Geography for 13 years. Professor Woodcock has made path-breaking contributions throughout his career. His seminal work on scaling and geostatistics during the 1980s continues to influence the way we understand remotely sensed imagery. His work on land cover mapping “best practices” in the 2000’s unified a scattered academic community. Recently, Dr. Woodcock’s research on has focused on error analysis, cloud detection, and land cover change detection in dense time series of Landsat imagery. His research through more than three decades has effectively changed our basic understanding of remote sensing science. Dr. Woodcock has contributed to the Global Observation of Forest Cover/Land Change, the Group on Earth Observations Global Forest Observations Initiative, and the United Nations Reduce Emissions from Deforestation and Degradation programs. Dr. Woodcock has led the Landsat Science Team for nearly 10 years. 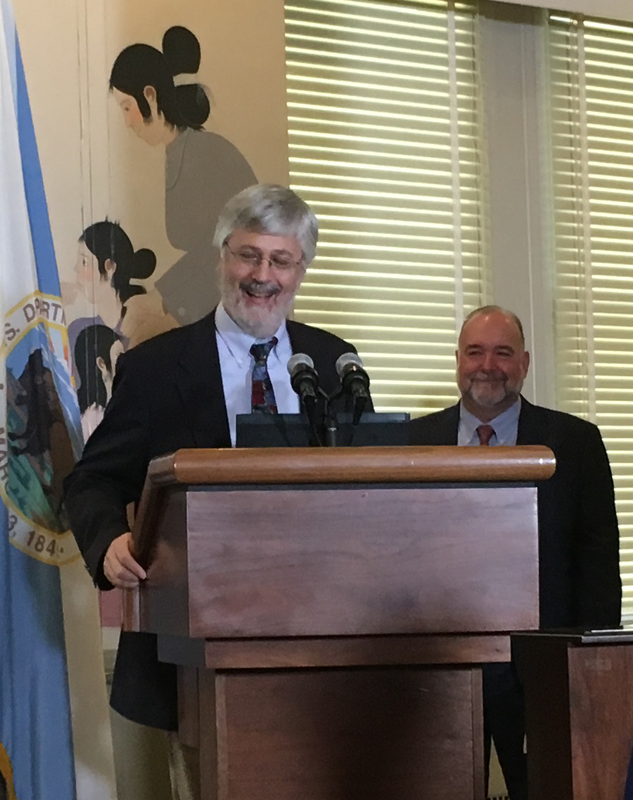 He has played a key role in opening and expanding the Landsat archive, and he has provided guidance for the U.S. Geological Survey initiative to modernize Landsat-scale global land monitoring. For more than 17 years, the Tropical Rainfall Measuring Mission (TRMM) team has conducted innovative precipitation science and has developed widely used applications that have greatly benefitted society. The mission, launched in late 1997 and ended in 2015, was a joint endeavor between NASA and JAXA, the Japan Aerospace Exploration Agency. Its equatorial orbit and the sustained length of the data record, combined with the first-time use of both active and passive microwave instruments, made TRMM the world’s foremost satellite for the study of precipitation and associated storms and climate processes in the tropics. The TRMM team met and exceeded their original goal of advancing our understanding of the distribution of tropical rainfall and its relation to the global water and energy cycles. In producing benchmark rainfall and lightning climatologies which have been used to improve global climate models, the team provided the key impetus for the current NASA-JAXA Global Precipitation Measurement mission. As of May 2016, more than 2,700 publications have TRMM in their title according to Google Scholar. There are more than 25,000 citations of these TRMM papers. In summary, for 17 years the TRMM has advanced precipitation science and paved the way for the next generation of precipitation observations.